Chris joined Bonnie Brae’s team in October, 2018 as Chief Operating Officer. 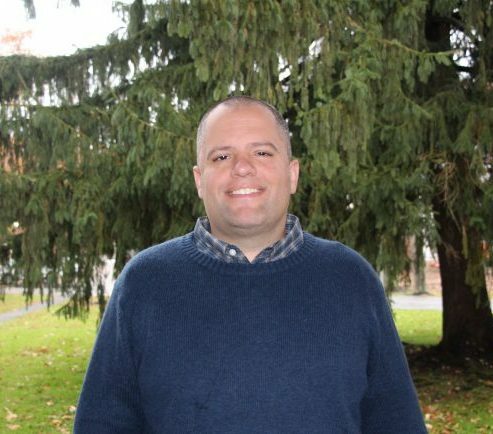 A life-long advocate for at-risk youth, Chris holds a Bachelor’s degree in Psychology from The College of Staten Island and a Masters in Counseling from Rider University. Chris brings more than 18 years of experience working with at-risk children, adolescents and families in inpatient, outpatient, juvenile justice, residential, community, and alternative school settings. Chris spent 15 years working at Carrier Clinic, beginning in the adolescent unit as a tech and moving up to various crisis management, clinical and leadership positions before moving on to a senior management position at Silver Springs – Martin Luther School, where he oversaw the administrative and clinical operations of their 72 bed residential treatment facility. Prior to joining Bonnie Brae’s team, he served as Director of Treatment Services at St. Gabriel’s Hall, a 150 bed residential program for adjudicated boys in the Philadelphia area. Chris envisions his role as helping the agency and staff continue to achieve new levels of safety, quality, growth, financial strength and positive outcomes. He is looking forward to helping Bonnie Brae to build and strengthen its continuum of care to meet the needs of the youth we serve.